After three separate English editions, Hollywood came calling, and in 2005 it was announced that Transformers producer Don Murphy would be making a big-budget film with Jim Henson Studios providing the creatures. 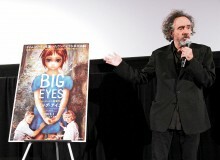 That project was never realized, however, and the movie rights eventually reverted to Japan, where Always: Sunset on Third Street director Takashi Yamazaki was handed the property. Parasyte Part 1 opens November 29.